Furniture for sale ads in Brisbane. Thank you for visiting our free advertising website Furniture for sale, Brisbane section. We provide high response free classifieds and free advertisement. Use our online free Furniture for sale classifieds placement system to find, list, offer Furniture for sale online! Looking for wholesale Furniture Shopping? Buy most stylish furniture such as beds, sofa, chair, table, furniture for home, office, hotel and many more at Wholesale Furniture Outlet (WFO) Brisbane. This is one furniture shop of quality furniture with a huge discount. Visit Our Store : 31 Ferry Rd, West End QLD 4101 Buy online: https://www. WFO Sale offer wholesale outdoor furniture at good prices. Shop our wide range of outdoor furniture on the Brisbane. We are leading furniture supplier in brisbane. You can order online as well as visit our store. 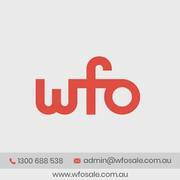 Store Location: 31 Ferry Rd, West End QLD 4101 Website : https://www.wfosale.com. If you want to buy designer furniture like table, stool, Chairs and sofa etc for cafe, bar, home or restaurant. Go to Obodo Furniture warehouse and buy any type of furniture at cheap cost. They have an amazing collection of branded furniture including sipa, seandix and maori etc. Visit : https://obodo. Home is your one stop Furniture, Bedding and Outdoor superstore. We have a huge range of stylish, quality products at prices you'll fall in love with! Welcome to Home! Home Furniture, Bedding and Outdoor PTY LTD provides customers with product relevant warranties against defects and/or manufacturing faults under consumer law and in line with the Fair Trading Practises act:Leather upholstery: Home PTY LTD guarantees all 100% leather lounges against defects/manufacturing faults for a period of 10 (ten) years from the date of purchase on foam, foundation and frame. Planning to purchase a unique furniture collection for your house? Then contact Your Home Furniture that provides standard quality dining tables and leather couches in Sunshine Coast. These collections enhance your interior look. 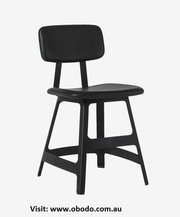 For more details, visit http://www.yourhomefurniture.com.au/collections/. White entertainment units has always been the hot selling furniture because they are very popular and gives a unique look to the room decor. Therefore, Australia's leading online home office furniture store ConnectFurniture is featuring white entertainment units online at reasonable and cheap discounted prices. Explore and Choose from the wide range of perfect coffee tables online available at Connectfurniture. You can choose the one which suits your home decor as there are a lot of varities available under coffee tables for sale such as:- outdoor coffee table, round coffee table, replica coffee tables etc. Learn. Explore and choose from a wide range of bedroom suites online available at Australia's leading home office furniture store ConnectFurniture. There are vast varieties of bedroom suites options such as single suites, double suites, queen suites, king suites, and an assortment of 4, 5 and 6-piece suites. 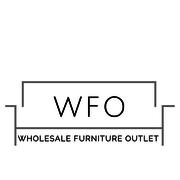 Wholesale Furniture Priced Low at WFO! Massive clearance and liquidation furniture prices - Only on Special Event Dates of the Year! Never repeat stock! Warranty and after sales service offered. Quality furniture at low prices.At Wholesale Furniture Outlet, you will find a wide section of discounted warehouse overstock, remaining inventory, opened items, display products, and showroom products at well below retail value…and even sometimes below cost pricing!Since our inventory is constantly changing, not all our products in-store are listed on our website. Looking for the designed ornate mirrors? Then visit Your Home Furniture that provides you a wide range of furniture in Scandinavia and Sunshine Coast. 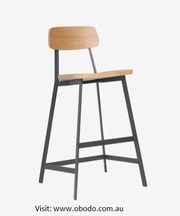 To buy, click now http://www.yourhomefurniture.com.au/all-products/. Welcome to Eureka Life. Your Active Office. Elevated. Finally, there’s a whole new perspective on work-life from a company inspired to change how you view your working condition. Eureka Ergonomic offers a complete solution of office products for your everyday working life needs. You work hard and we want to give your mind, body and soul, every opportunity to feel and perform at its very best. A new and easy way to buy your sofa online and have it delivered to your door in a box. With Free delivery and Returns, extra long warranty, the ability to choose form a variety of colors you can’t go wrong with the new Objekt Sofa in a Box. Now you can buy online without fear of making the wrong choice as we are so confident you will find your new Objekt sofa so comfortable we offer a free 30 day trial. Do you want to decorate your restaurant with designer chairs and tables? Go the Obodo Furniture and get a variety of furniture in minimal price. Visit: http://www.obodo.com.au/product-category/seating/. Have a look at Your Home Furniture online store, it has a wonderful collection of large mirrors and industrial furniture to enhance the beauty of your space in Sunshine Coast. To buy, click here http://www.yourhomefurniture.com.au/product/industry-hall-table/. Enhance the beauty of your commercial space with the Scandinavian furniture available at Your Home Furniture, it also has a collection of industrial furniture in Sunshine Coast. To place your order, click on http://www.yourhomefurniture.com.au/product/industry-hall-table/. Want to add a new look to your home? Then visit Your Home Furniture store and check out the modern furniture includes timber dining tables, beds and much more. To place your order, visit http://www.yourhomefurniture.com.au/product/celestial-queen-bed/. Want to add a new look to your home? Then visit Your Home Furniture store and check out the modern furniture includes timber dining tables, beds and much more. 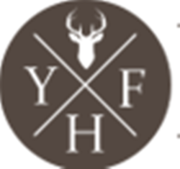 To place your order, visit http://www.yourhomefurniture.com.au/product-category/timber-furniture/recycled-timber-furniture-sunshine-coast/. Want to enhance the beauty of your home? Then Your Home Furniture is the best option in Sunshine Coast, to get the best quality and latest designed sofa beds, dining table and much more. To purchase, please log on to http://www.yourhomefurniture.com.au/product-category/living/sofa-beds-sunshine-coast/. Shop for the huge collection of amazing office furniture available in Caboolture, Ipswich, Gold Coast and Maroochydore at very affordable price from dannysdesks.com.au.Shipping Available in Australia Wide! Get Lowest Guaranteed Price! Contact for more details! 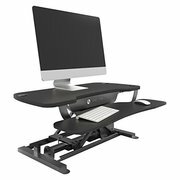 Contact Us:- Dannys Desks and Chairs 10 Glen Kyle Drive Buderim Queensland 4556 Australia 07 54433114 Visit Here:-https://www. Australia free ads for Furniture for sale, Brisbane, Furniture for sale free ads Brisbane, Furniture for sale for sale Brisbane, Furniture for sale to buy in Brisbane. Find on this page free classifieds for Furniture for sale in Brisbane. This listing includes classifieds for sale and to buy in Brisbane. FREEADSAustralia Brisbane offers you a platform to post free advertisements or classifieds for Furniture for sale in Brisbane. FREEADSAustralia helps you search, find buy, sell, rent or hire in various categories like apartments, goods for sale, local services, cars , jobs and many more in Brisbane. If you posted an advertisement in category Furniture for sale of FREEADSAustralia Brisbane before please use Edit my ads button to change or cancel your ad. Furniture for sale Brisbane ads Brisbane, Furniture for sale classifieds Brisbane, Furniture for sale free ads Brisbane, ads for sale Brisbane, ads to buy Brisbane, FREEADSAustralia. Find here ads for sale, to buy and rent in Brisbane. Goods for sale in Brisbane, vehicles for sale in Brisbane, Brisbane real estate for sale, Brisbane property for sale, property for rent in Brisbane, business ads in Brisbane, Brisbane business classifieds, services in Brisbane, Brisbane services ads, jobs in Brisbane, pets for sale in Brisbane, Brisbane dating, Brisbane cars for sale.